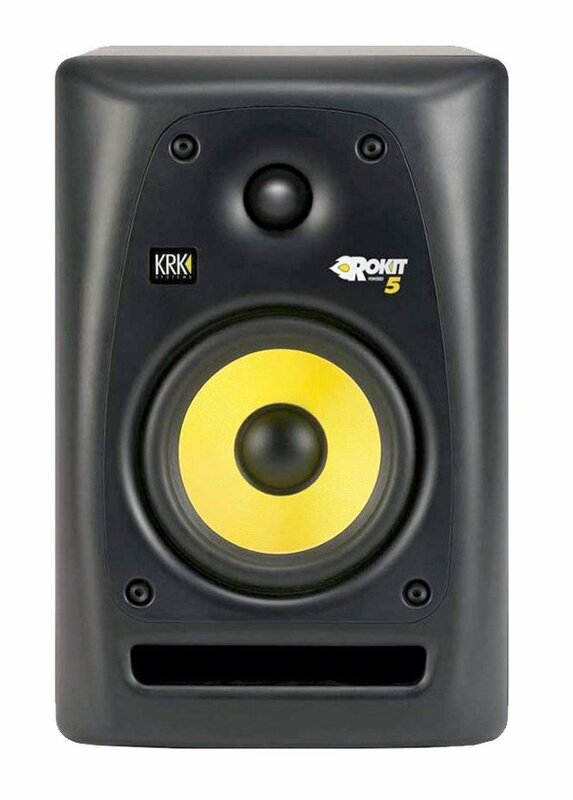 KRK Rokit studio monitors have had a stellar reputation for features such as a front-facing bass port, soft-domed tweeters, and a glass aramid cone woofer. The KRK ROKIT 5 G2 takes things even further with its curved front plate baffle that not only looks good, but also reduces diffraction distortion to virtually zero, making it one of the more accurate monitors available at its price range. 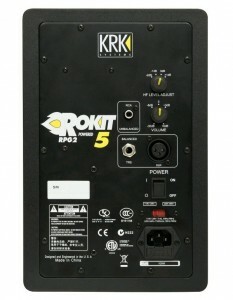 But is that all there is to the KRK Rokit 5 G2? Of course not! Read on to find out more about the features packed into this amazing “Near-Field” monitor which comes with a choice of 5-inch, 6-inch, and 8-inch woofers. KRK Rokit 5 G2 has a recessed tweeter which comes with an improved wave-guide for providing pattern control for even high frequency waves. It is able to ‘bulge’ the sound outwards from the cabinet. This has been enhanced by the curved baffle design. What this means is that you get a sound that has excellent axis linearity and no phase or diffraction distortion, thus leading to high quality imaging and a sweet spot that is easier to hit since it is so wide. Without having excellent imaging, it is hard to judge optimum levels of depth, width of panning and frequency response. Control over these three is crucial for three dimensional mixing. Say goodbye to the diffraction distortion resulting from the sounds leaving the edge of the box bouncing around in the sound field in flat conventional designs and the resultant flat mixes. Many monitors have a lot of gain inbuilt to make them sound ‘loud’. However, this also induces hissing in the mixing system. 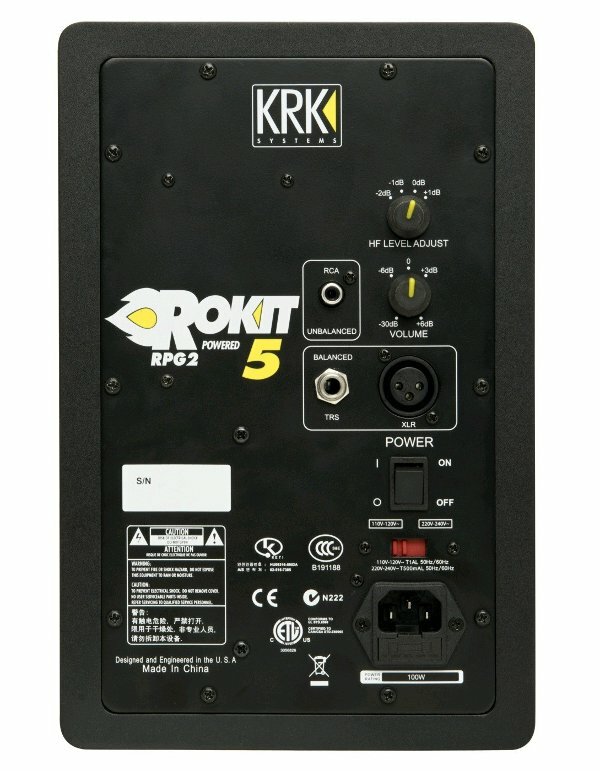 The KRK Rokit 5 G2 has a gain structure which is aligned towards studio-mixing needs and not for PSA’s at a Walmart. It also features an Input Volume Control Knob that gives you control over the gain from +6dB to -30dB. Since the KRK Rokit 5 G2 hasn’t been ‘colored’ what you hear is what you get, the sound generated by custom-designed drivers for clear, distortion free output. Besides this, the KRK Rokit 5 G2 also has a High Frequency Level Control. As room acoustics change, it is the higher frequencies that are most commonly affected. However with this control, you can customize your higher frequencies so that they ‘sound’ similar even in different locations. Many monitors have bass ports behind the cabinet. The bass frequencies tend to bounce off the walls and corners, amplifying themselves, before they reach your field of sound. Needles to say this deteriorates the quality of the imaging. The KRK Rokit 5 G2 has front-firing ports which eliminate this problem. Not only that, they are also shaped and tapered to provide distortion free bass frequencies by reducing port turbulence. While the KRK Rokit 5 G2 has a radical design, precision controls and intelligent port placement, none of this will provide great sound without the right amplifier to boost the output. The KRK Rokit 5 G2 boasts of a bi-amplified amplifying system. This provides low-distortion power in discrete steps for each driver. Also, the cross-over systems are designed to provide accurate frequency response in a smooth curve. This goes a long way to reduce diffraction distortion. The KRK Rokit 5 G2 has many input options such as RCA, XLR or 1/4″ Balanced/Unbalanced to ensure that the monitor can be easily integrated with your existing studio set-up. Unreliable adapters will no longer spoil your studio mixing experience. The KRK Rokit 5 G2 studio monitors are not for every-day listening. 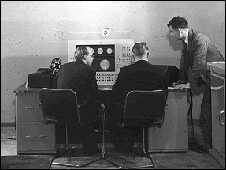 It is a neutral near-field monitor which gives a flat response for any frequency. It provides an accurate rendition of your mix as it is, without ‘coloring’ it. 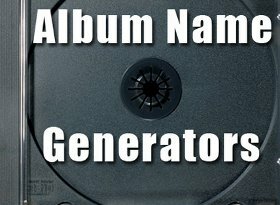 It is ideal for those who are looking to improve their mixes, not for a house party. If you want a louder sound you can opt for the 8″ or buy an add-on sub-woofer that KRK sells but that is only necessary if anyone is mixing complex sound-tracks with lots of sub-sonic sound effects. The 5″ isn’t ideal for the low end and bass either, you may want to add a sub-woofer to ensure that you don’t miss out on the richness of the low frequency. For the price and for the generous warranty that it comes with, the KRK Rokit 5 G2 is the ideal monitor for most mixing needs especially in the entry level and home studio market. I have the KRK Rokit 5 G3 studio speakers and I’m very impressed with them! Recently purchased these monitoring speakers after deciding to take recording and mixing music seriously. I was going to get the JBL LSR 305 studio monitors but after reading so many reviews like this one that lists the best studio speakers on the market, I decided to go for the Rokit 5 and I don’t regret that decision at all. I highly recommend these monitoring speakers to everyone, especially those that are just starting like me. 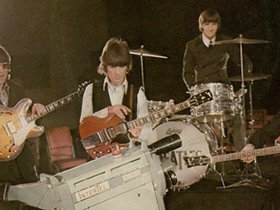 Despite their very affordable price, their performance is outstanding. I don’t think any other monitoring speakers in this price range can beat the Rokit 5 G3. Iv used these at another studio for mixing down and they aren’t bad at all. Quite flat sounding which is what you need.